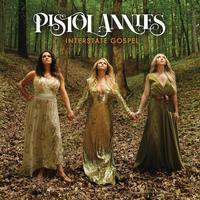 Huge critical praise followed Pistol Annies' 2013 release Annie Up, a wry collection of songs about drinking and divorce. The album was released during a critical shift in country jump-started by the record-breaking success of Florida Georgia Line and Nelly's "Cruise," which hit radio just a few weeks before Annie Up. In the ensuing five years, mainstream country has mostly embraced the template that "Cruise" offered: male voices singing about partying and women over slick, pop-savvy production. The ethos of the Pistol Annies, who steep their classicist country — rife with despair and misfortune — in rootsy arrangements, has not been welcomed within the mainstream confines of the genre in some time, writes Rolling Stone. Their solution? Doubling down on the roots blend they've honed over the better part of the past decade, merging Monroe's East Tennessee bluegrass roots, Presley's hardscrabble Kentucky country-rock and Lambert's Texas honky-tonk. But unlike past efforts, where their narratives relied on a heavy dose of dark humor, the songs on Interstate Gospel convey a much more intimate personal urgency. The result, from the housewife harmony blues on "Best Years of My Life" to Lambert's haunting post-divorce balladry on "Masterpiece," is a sharply-rendered sketch of bruised hearts and shaken souls that amounts to the group's most moving work to date.